Honda just confirmed that in June of 2016, someone died while fixing a 2001 Honda Accord after a faulty Takata airbag went off. The company says it’s the 11th confirmed death in the U.S. associated with Takata’s defective inflators. It’s also a reminder that working near airbags—particularly those known to violently explode if they’ve been exposed to humidity—is incredibly dangerous. 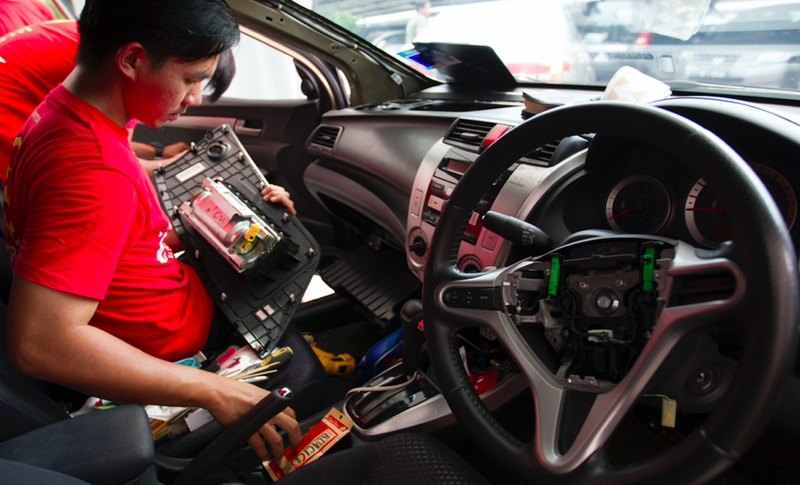 Mechanics have to be especially careful around the yellow connectors and wires found under a car’s dashboard. They’re the ones associated with airbag deployment. The last thing anyone wants to do is accidentally deactivate or trigger the airbag inflators. The latter happened near Miami, Florida, in June of 2016 and, unfortunately, the airbag the person triggered happened to be a recalled Takata unit, which was filled with ammonium nitrate propellent known to explode violently after being exposed to high humidity. Martin also mentioned to the news site that, while Honda doesn’t know exactly what triggered the airbag deployment, there are deceleration sensors near the firewall that activate the airbags, and the man had taken apart the center console. That means he could have been working in the vicinity of those sensors. Honda says its “records indicate that the recall repair was never completed on this vehicle.” Completing that recall could have saved someone’s life, and Honda says it continues to encourage people who own cars affected by the massive Takata airbag recall to schedule repair appointments with their dealers immediately. Do Your Takata Airbag Recall Now. Now. Now.